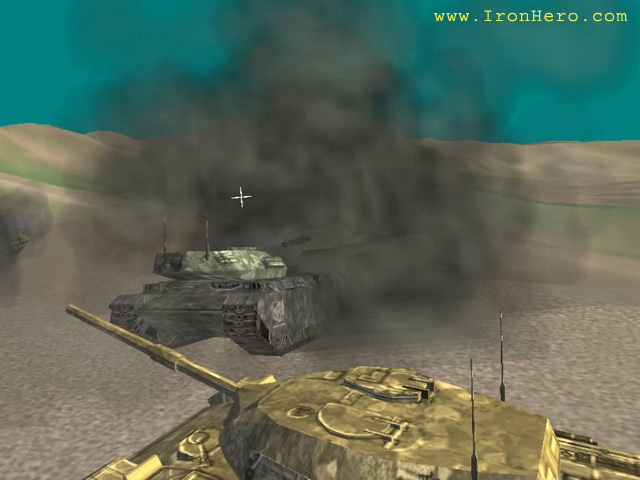 IronHero is real-time 3D tank shooter game with unlimited mission pack and smart enemy AI. As one of tank commanders, you should find and destroy enemy tank platoon. Your teammates will help you to do the job.There are three difficulty levels in game - "Easy", "Normal" and "Hard". "Hard" level means "Impossible" and recommended for very experienced players only. IronHero is real-time 3D tank shooter game with unlimited mission pack and smart enemy AI. As one of tank commanders, you should find and destroy enemy tank platoon. Your teammates will help you to do the job. There are three difficulty levels in game - "Easy", "Normal" and "Hard". "Hard" level means "Impossible" and recommended for very experienced players only.